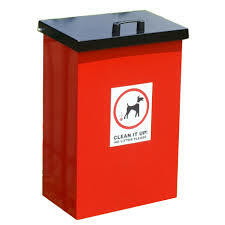 The Parish Council provides the Dog Bins throughout the village. These are on public footpaths, the canal towpath and both recreational areas at Croft Way and Jubilee Field. They are emptied by Daventry District Council who are also the responsible body when it comes to imposing fines, clearing up, etc. The Parish Council ask all dog owners to clear up after their dog. The initiative to spray Dog Poo will continue to raise awareness of the dog mess and to encourage irresponsible dog owners to clear up after their dog.